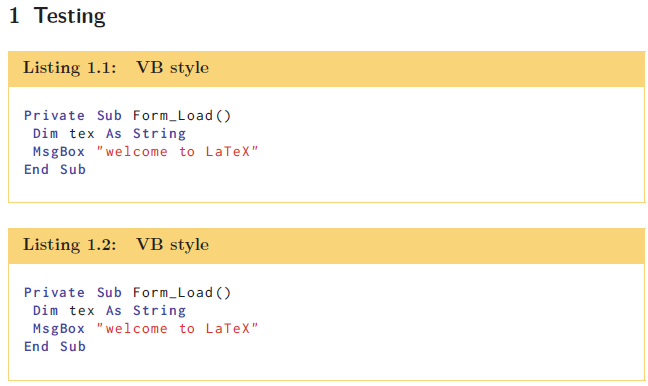 I always use this LaTeX code to display a source code in my article. Where listingbox is an environment based on framed packages. I had to change to the command-form of contlabelframe inside listingbox as well, since it is internally used by BASIC. Not the answer you're looking for? Browse other questions tagged listings environments verbatim framed or ask your own question.